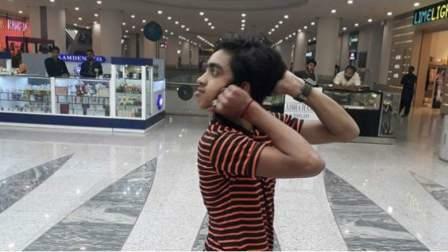 This 14-year-old boy from Pakistan is stunning the world with his incredible flexibility that enables him to twist his head by 180 degrees. Not only this, the boy also has a unique capability to even rotate his shoulders by 360 degrees. Muhammad Sameer Khan from Karachi is being nicknamed as 'human owl' as he turns his head to look behind him, according to reports in Daily Pakistan. Sameer works as a part of an eight-member dance group, Dangerous Boys, in Karachi and performs in dance shows to earn a living. He was forced to quit studies as his 49-year-old father was ill and unemployed. Sameer earns a meager sum of Rs 600-Rs 1000 per show. Asher Khan, the lead dancer of Dangerous Boys, stated that Sameer is incredible and will go a long way if he gets proper training. Though presently he struggles to make ends meet, Sameer hopes someday he would land a role in a Hollywood movie due to his implausible flexibility.